The Gadsden Flag was designed in 1775 and used by the Continental Marines during the Revolutionary War. The use of the snake in the design is due largely to Benjamin Franklin's "join or die" cartoon and an essay he published in the Pennsylvania Journal. 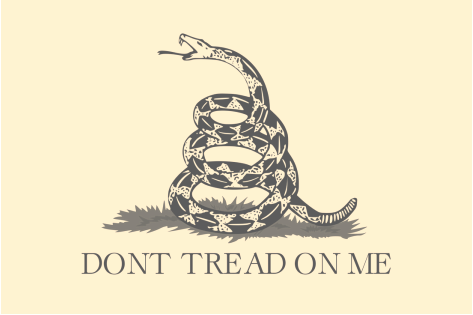 By 1778 the rattlesnake symbol was officially adopted by the Continental Congress. *This event is Free for everyone, we will be passing the hat at the end to help offset costs of the event and continue our fundraising efforts for 2017 Tour. While we will be asking for your help, remember even if you can't afford to contribute we want to make sure you include us in your plans and never let your finances keep you from playing with us!